"I Can Hear It Now: Prohibition and Moonshine"
They called Prohibition the Noble Experiment. It was intended to make the world a safer and more civilized place. In fact, gave rise to organized crime and made common citizens into criminals. Economists in the early twentieth century praised it as a means of allowing workers to be safer and more productive; economists of the twenty-first century recognize it as one of the ten greatest economic blunders of all time. 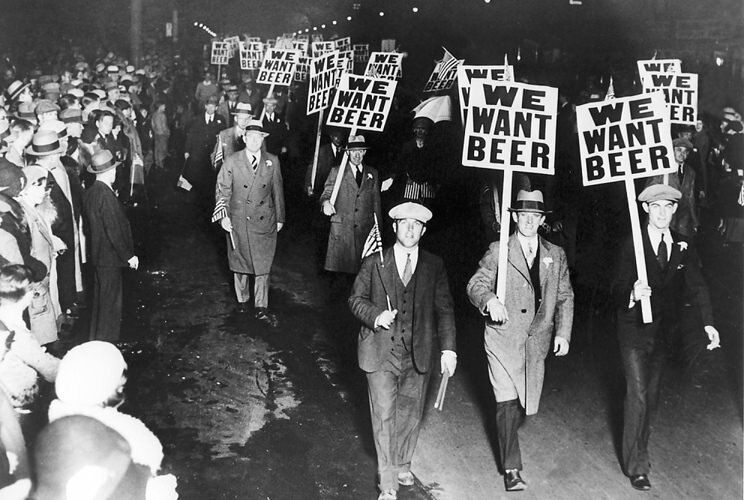 It was Prohibition, and it would have been laughable if it had not actually happened. The fact that it did is still rather laughable. Americans have always had an interesting relationship with liquor and spirits. The puritans who were New England's earliest settlers were dead set against intoxicating drink. However, we were an agrarian nation, and it was much easier and more profitable to convert corn into whiskey than it was to transport grain itself to market. Besides, whiskey could be taxed at a much higher rate than grain, and national debt was with us even that far back. 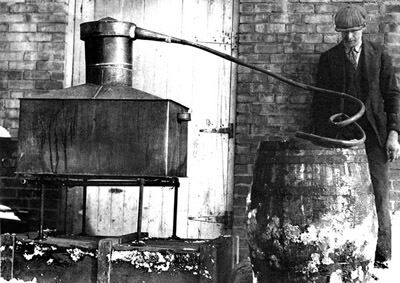 Several factors made Prohibition possible. In 1913, the 16th Amendment instituted a national income tax, alleviating the need for liquor taxes to support the government. Since women tended to favor prohibition, temperance societies supported women's suffrage. One of the largest voices against Prohibition came from the German American community, but when the US entered WWI, this group was effectively marginalized. The 65th Congress met in 1917 and passed the 18th Amendment. 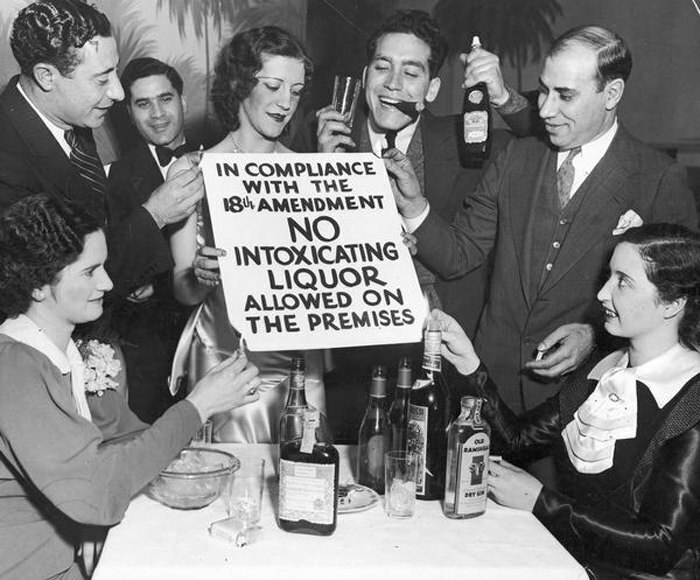 The Amendment created Prohibition, but the Volstead Act was the means to enforce it. However, neither the act or the Amendment made the consumption nor ownership of intoxicating beverages illegal. Before Prohibition went into effect many people stockpiled booze. Making a limited amount of wine was also legal, but far and away the most popular source for liquor was from bootleggers and speakeasies. When stockpiled liquor ran out, it was a simple matter to carry the stuff across from Canada or to land it on a deserted section of coastline. The drink continued to flow in Cuba, just 90 miles across the Florida Strait as old time radio performer Billy Murray reminds in a song recorded on an Edison record. The prohibition era ran from 1920 until 1933, a period when commercial radio was in its infancy. Relatively few recordings survive from the era, but the experience of the "Noble Experiment" remained romantically in the memories of radio workers. CBS's Romance series tells the story of "The Ragged Individualist" starring Parley Baer, Vic Perrin and John Dehner. The story is told from the point of view of the sheriff of Cajun County, who has a live and let live attitude when it comes to dealing with the laziest man, and best moonshiner, in the county. On the first episode of Nightbeat's 1951 season tells the story of a "noble bootlegger" released from prison after paying for his crimes. Robert Conrad turns in a convincing performance as a man who gave up everything to keep his daughter safe. On Yours Truly, Johnny Dollar, the moonshiner's widow is very happy to see Dollar paying off the $5,000 life insurance policy, an attitude not shared by the man who shot him! 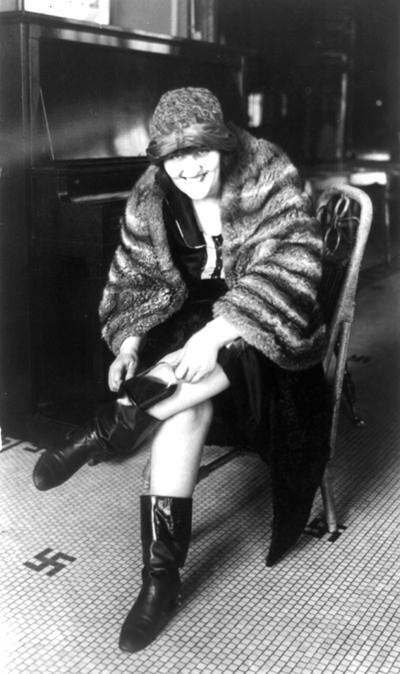 Be the first to comment on "Prohibition (Bootleggin and Moonshine)"